You feel it most right before the sun rises. There is a chill in the air that bites a bit harder than the chill on unusually cool mornings in July or August. 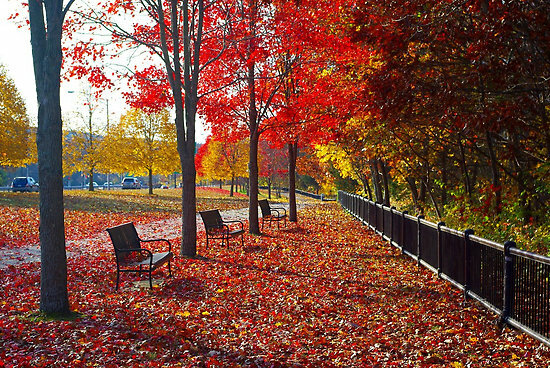 The winds begin to pick up, the birds begin to quiet down and the leaves begin to fall one by one decorating the streets with colors of brown, red and green. Summer’s end to me was always Labor Day. Once that weekend was over, school would be back in session and most of the classmates would see each other for the first time since June. There were some friends who went to the same camp or lived close enough to each other to stay in touch – but mostly the first day of school was a reunion of sorts. I remember making sure that I would look my best that first day. I would get a haircut and wear my newest clothing – shower the night before and be all sparkly and clean. I was always excited to see the girls who I didn’t see all summer and the possibility of new girls coming into the grade. Summers began with optimism and excitement. The weather would be warm, there was no school, baseball would be played and I listened or watched each Met’s game. I would go to Manhattan Beach with my family and we would eat fried chicken from a place on Kings Highway and East 10th st. cole Slaw and potato salad on the side. 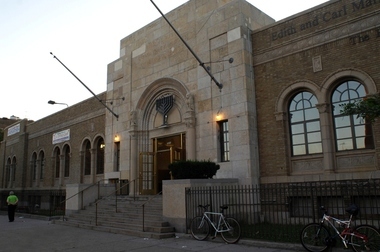 For two or three summers I went to the “Boro Park Y Camp.” The bus would pick us up on McDonald Avenue and Kings Highway and then take us to the Brooklyn headquarters of the camp, then we would board a bus and go to the Henry Kaufman camp ground in Staten Island. Looking back on it I remember having the best time – but when I look too close I remember not wanting to go there at all. Imagine complaining about being in camp, swimming, playing ball, being with friends? I fell in love with a girl each day when I was in camp. There was Danielle; the girl I was in love the whole summer. I never had the guts to go over and speak with her. She was beautiful – dirty blond hair – green eyes (I think) and just a 10 year old boys dream. I would see her each morning on the bus and hope to find an excuse to speak with her – to get myself within her viewpoint so she could look at me and have that, “Aha” moment. My fellow campers and I, used to sneak out of the camp grounds to go to the “Sweet Shop” where we would buy tuna fish on rolls and “Zots.” A sort of candy that when eaten and worn down would emit a soda like sensation in your mouth. We would then sneak back into the camp ground and eat while sitting on the grass or a big rock so when the head of the camp would come looking for us we would be innocently eating our lunches. There were the walks in the woods where we would have “Blueberry fights” and climb trees. I had a pocket knife that I would use to sharpen up sticks and carving them up until they were almost all white and looked brand new. There were the ponds where we would look for and find frogs. I would play with the frogs and actually brought some home in small boxes. Why? I have no idea – I also have no idea how my mother allowed me to. We had one overnight during the summer and I remember the stories we would be told while we sat around a fire pit. Surrounded by the dark woods we would hear about Cropsey and his golden arm and how he was looking to get revenge. Then one of the CIT’s would jump into the circle and scare us. On Fridays the JCH (Jewish Community Center of Bay Parkway) would come to spend the day at our camp ground and we would have a softball game against them. It was strange since a lot of the kids on the JCH side were kids I went to school with but for these Fridays in the summer – they were the enemy. (Looking back I have no idea why they were the enemy). Summer was hot back then – hot and loud. Now remember – I am talking about the mid 70’s here – so its not ancient history. But Air-conditioners were not so common in the homes back then so the windows were kept open, all the people who lived on the block would sit on their porches or their stoops, listening to the radio, reading the Daily News or in deep conversation. Horns would be sounded, kids screaming and horns would be blasted. Benny, the Good Humor man would ring his bell to let us know he was finally here. At night I would lay in bed with my transistor radio and listen to Lindsey Nelson, Ralph Kiner and Bob Murphy take turns describing the New York Met’s actions on the field. I would finally fall asleep only to wake up to the sound of buzzing in my ear. Mosquitoes would find a way through the one hole in the window screen and spend their evening feasting on me. On July 4th 1976 – the Bicentennial of the USA was celebrated with hundreds of boats from around the world having a parade in our harbor. It was this harbor, where the Revolutionary War first began. 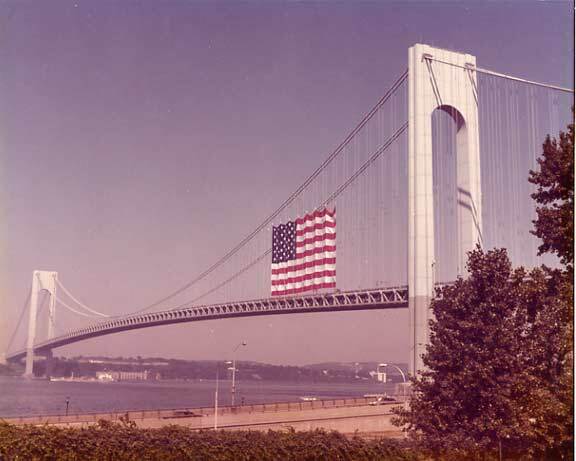 A big american flag was hoisted onto the Verrazano Bridge and we all went to spend the day by the bay – right next to EJ Korvettes Department Store (Named that for the Eleven Jewish Korean war Veterans who started the business). My father was working that day but stopped early to come meet us. When we saw him running towards us he was smiling and told us that “The hostages were freed from Entebbe.” The PLO had orchestrated a hijacking of an airline and had taken all the Jewish passengers hostage and were being held in Entebbe. The Israeli army snuck into Entebbe in the middle of the night, freed all but three of the hostages and brought them all to Israel. The only casualty was Yonathan Netanyahu – the Units leader. It was miraculous and we felt an overwhelming pride to be Jewish and American on that day. That night the firecrackers and all of the “Bombs bursting in air,” kept up until around 2 or 3 in the morning. The next day my friends and I would walk through the remnants and look for unexploded fire crackers and set them off ourselves. I used to spend a lot of time on my own during those summers. My brothers and my sister all had their friends while I was still too young to go on my own with mine. So as the Dog days of August came to an end – the preparation for school began. Clean looseleaves, (rings still touching) notebooks, pens and pencils. A rubber belt to wrap around the books, pencil sharpeners and erasers. 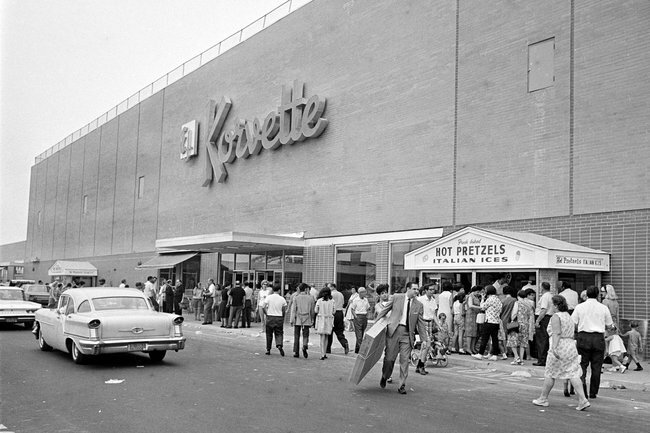 The day would come finally – the day after Labor Day and we would assemble into the building with shy hellos and slapping hands. So maybe none of the dreams or hopes came true. So the optimism was wasted and turned into being frustrated and the girl took the gum and ran away. Summer is funny that way; you get all up and excited sitting in the class as the summers creep up on us. We daydream about summer days and nights – all full of naive open ended optimism. Only to find ourselves in the fall – sitting in those same seats once again, daydreaming and naively optimistic about another day. 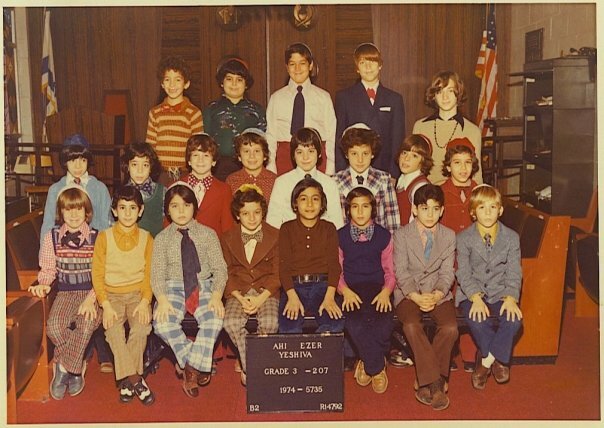 Looking back I salute that kid – that young man who sat in a chair connected to a desk and tried his best to suppress his energy and his true self. I salute him because of his endless hope that maybe, just maybe tomorrow be just as we had dreamed it would be. Good writing. I enjoyed your trip down memory lane. Loved this Blog.Even though I am older than you.Kids are all the same. I am from Calif.,but where ever your from ,it’s really all the same.Lived in Brooklyn from 1961 to 1969.Across the street from the JCH. The Lefrak building.Even remember the address.7705 Bay parkway. Hey Janice – Let me know your thoughts I just posted Chapter 8 of Chance Encounters.